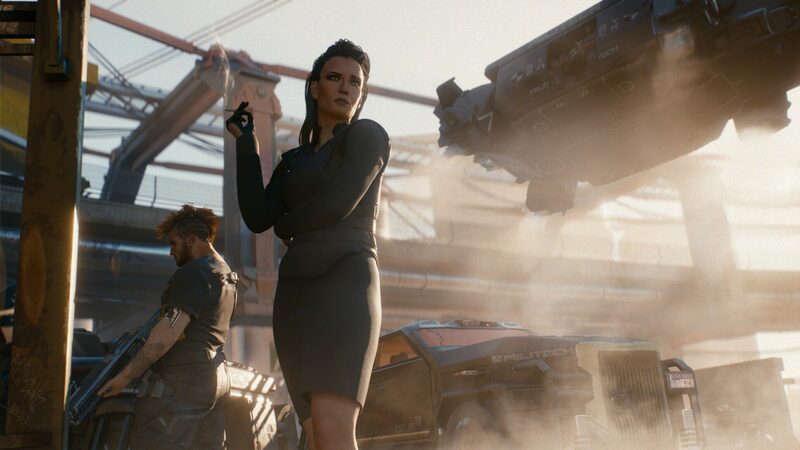 Cyberpunk 2077 is going to feature a very big map, but it’s not yet clear how big it will be, especially compared to CDPR’s previous RPG, The Witcher 3. Recently, some new details on the matter have come in, teasing some interesting developments. The rep behind the Official Cyberpunk 2077 Official Facebook page recently answered a fan’s question regarding the map. 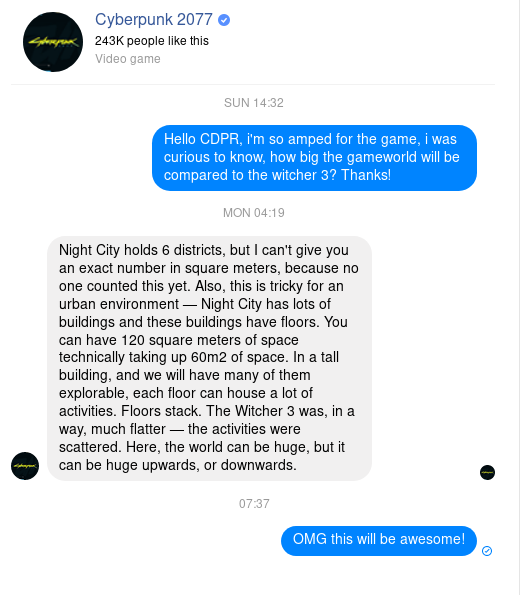 The exact number in square meters cannot be provided, but it’s been explained that the game’s map cannot be compared to the map of The Witcher 3 due to the verticality of Night City, something that’s been already talked about. What hasn’t been talked about is the possibility of some parts of the city being underground, which sounds quite interesting. Earlier this week, more details on hacking have also been revealed. Through hacking, players will not only be able to receive help for missions but also obtain information on points of interest and more.